Many of you may know that I have always wavered a little in reading or wanting to read this classics. In my head this conjures up English Literature lessons in school being forced to read the same sections of a book over and over and over, analysing it to death and taking all the fun out for reading. This has lead me to having missed out on many a ‘canon’ author including Jane Austen, and people said a small collection of her early work didn’t count, so when I embarked, with AJ Reads, upon the idea of Classically Challenged she was the first author I wanted to try and thanks to you, and your votes, I did so with ‘Persuasion’. Did it persuade me to read anything else by her though? If they had had the expression ‘middle child syndrome’ in the early 1800’s then I think Anne Elliot, the heroine of ‘Persuasion’, would be a prime example of someone who could suffer it, though being a heroine of course she doesn’t. She has a vain and wealth obsessed father and sisters, elder unmarried Elizabeth and younger married Mary, and so really she is overlooked by most of her family. Fortunately she does have the attention of neighbouring Lady Russell who was her sadly deceased mother’s best friend. However Sir Walter Elliot though obsessed with his position in life and wealth, is lacking in how to keep or make the right amount of money and so has to rent his estate, Kellynch-hall out which in doing so brings a former, rather fortunately unknown, engagement, Captain Wentworth, of Anne’s younger years back into her life and also a whole host of people that change her perception of what life can be and what can indeed be made of it. I have to say that I really, really enjoyed ‘Persuasion’. I will happily admit that I found the first page to be one of the most mind numbing and off putting pieces of fiction that I have read in some time (which is interestingly the same thing, only for fifty more, that has stopped me getting anywhere with ‘Pride and Prejudice’) as Sir Walter reads about an almost encyclopaedic history of himself and all its pomp, which reads a little woodenly. 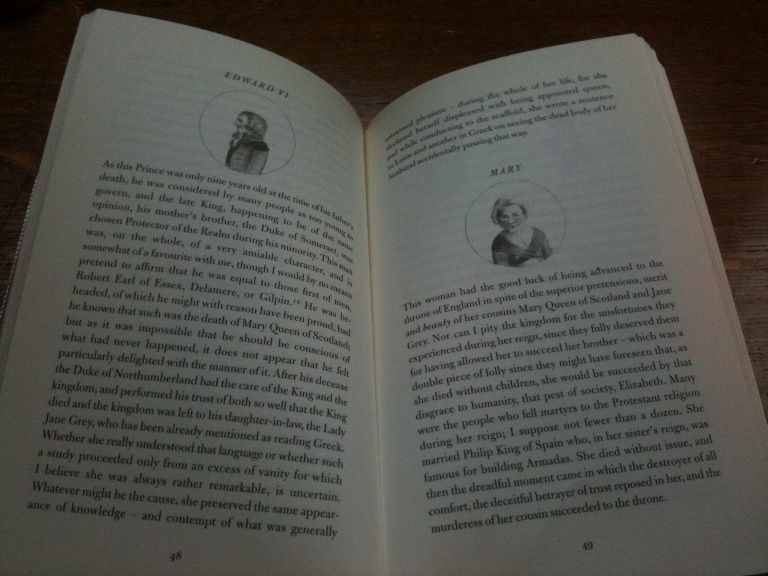 Yet, just another page on I was suddenly hit with a beaming smile as the wit I had heard Jane Austen has, but didn’t believe she did, smacked me round the chops as Sir Walter’s pomp, causes him to look at everyone else around him, and I found it very funny. From this point in the book was honestly a real joy. I felt that I actually ‘got’ Jane Austen and the more I read on the more and more I realised that my preconceptions of her were way off the mark. I had imagined this would all be rather twee and sentimental but have the happy ending I was expecting. Here I must say I did guess the ending but firstly I loved the twists that went on throughout and secondly doesn’t the ending have a dark ominous overtone? What I actually got was a very witty, often a little darkly so, and intelligent and wryly perceptive author who clearly watched and observed and then, in wonderful prose – though it took me a little while to get into the Olde English, writes it almost to a level of pastiche, yet so convincing it never goes too far, for the reader to enjoy. I must add here that I am never ever letting my editor moan at me about how much I over use comma’s. I shall simply say ‘have you read Jane Austen?’ and leave it at that. I liked the fact we had this in common and as I read on I became more and more sure that had I sat with her, people watching over a pot of Earl Grey tea, I would have very much enjoyed her company and possibly laughed quite a lot as I did throughout the book. I am not sure I was always meant to find everything as hilarious as I did, Louisa’s fall in particular, but I giggled, occasionally wickedly a lot, sometimes at the most subtle of things. The other aspect of her writing is how much of an insight it gives into the social state of the country at the time and indeed the plight of women. Firstly there is the fact that all women seem to be failures if they do not marry ‘up’ or, heaven forbid, marry at all. No wonder Anne is disproved of when she turns down Charles, who Mary then marries (awkward much?) and isn’t sure the debonair and seemingly wealthy Mr Elliot is right for her. More interesting for me was the cases of Miss Smith, who I really loved and wanted to look after, illustrated the plight of a widowed woman of no wealth and at the other end of the spectrum was the rather matriarchal Lady Russell who seemed to have it so easy, well apart from the loss of her husband that is. I found this all rather fascinating, the shock of Anne wanting to associate with a woman who couldn’t even afford a servant rather hit me, and also highlighted what a bunch of pompous pests she unfortunately was related to. This does bring me to my only slight qualm with the book and Austen’s writing. Here we go, get ready for everyone who is sat thinking ‘see we knew you would like her and find her faultless’ to get a little more annoyed, but I want to be honest. In some of the characters, having seen so many adaptations of Pride and Prejudice, whilst not having read it I know, I felt that I had seen them before. There were a few Mrs Bennett’s and indeed a rather Wickham like character which whilst never stopped me enjoying ‘Persuasion’, indeed all the ‘vexing’ is wonderful, did spoil one twist in the tale alas. It made me wonder if all her novels have the same set characters and aim to achieve the same moralistic, yet also rather fairytale like, ends. I shall have to read more to make up my mind. If you haven’t guessed already I was quite smitten with ‘Persuasion’ and also with its author. I got a whole lot more than I bargained for and indeed had my misconceptions of Austen and her writing have been fully highlighted and I see the error of my assumptions. If all of her novels contain this level of observance, wonderful characters be they good or bad, illustration of the human condition (and amazingly people still behave like this, maybe why it resonates to this day), emotion, humour and wry commentary I could become a hardened fan. 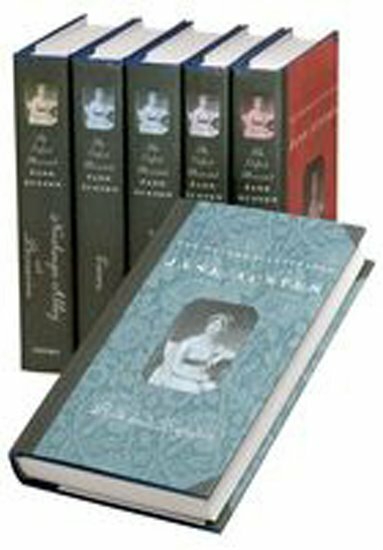 I will definitely be reading much more of Jane Austen’s work in the future, so if you have any recommendations for the next port of call do let me know, in the meantime though I am really excited about reading the rest of the Classically Challenged titles (next is ‘The Warden’ by Anthony Trollope) with AJ, whose thoughts on ‘Persuasion’ will be live here in due course, over the next few months. 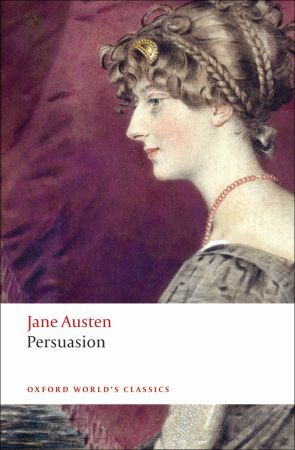 For now though… what are your thoughts on ‘Persuasion’? P.S I am so sorry this post is so lengthy, the book gave me so much to write about. I can remember when Simon first confessed his dirty secret several years ago. 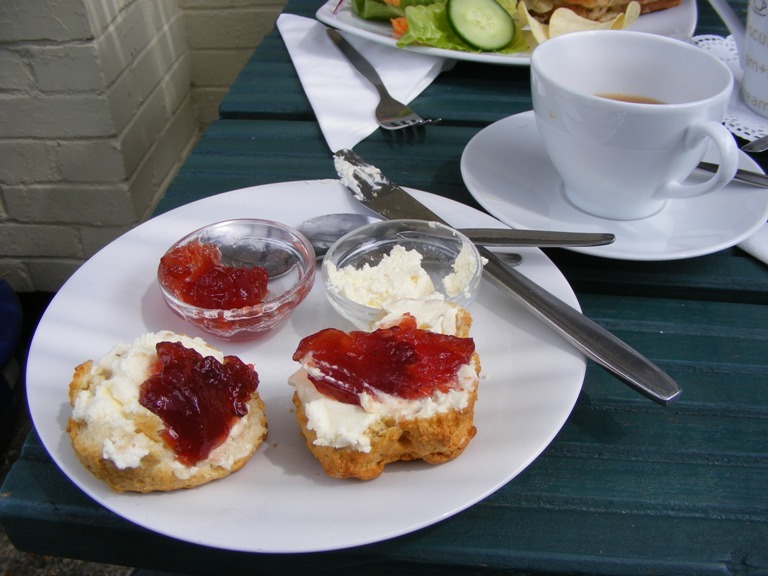 We were having a nice chat and a cuppa and he went and spoilt it all by dropping a J-bomb…and confessing that he simply DIDN’T LIKE JANE AUSTEN and had NEVER read any of her novels. NEVER EVER. Obviously my first reaction was laughter at yet another of Simon’s funny jokes. 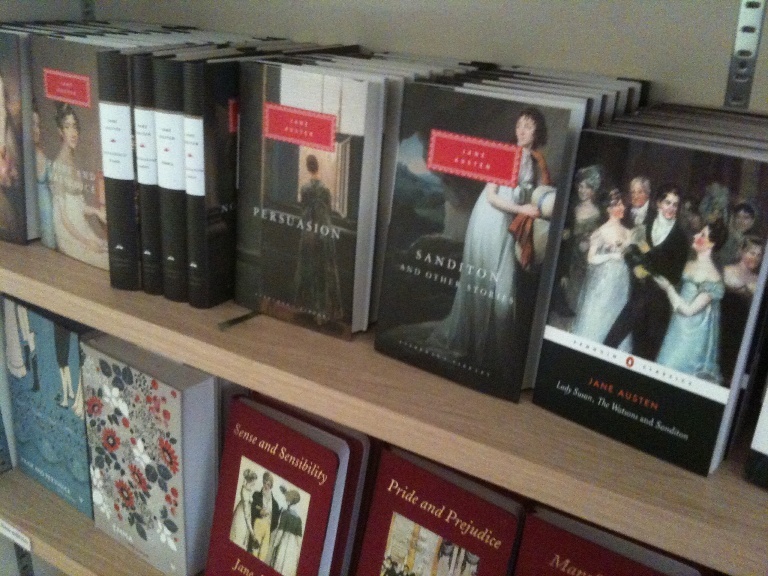 Being a very popular book blogger and bibliophile I figured it had to be one – I mean, who doesn’t like Jane Austen?!! Sadly ladies and gentlemen, it wasn’t a joke and our friendship was very nearly over when he casually reasserted this blasphemy by saying that he had “tried to read Pride and Prejudice once but it was the most boring first fifty pages I’ve ever read”. What is widely acknowledged to be one of the greatest lines in English literature was flippantly described as BORING. No remorse was shown. 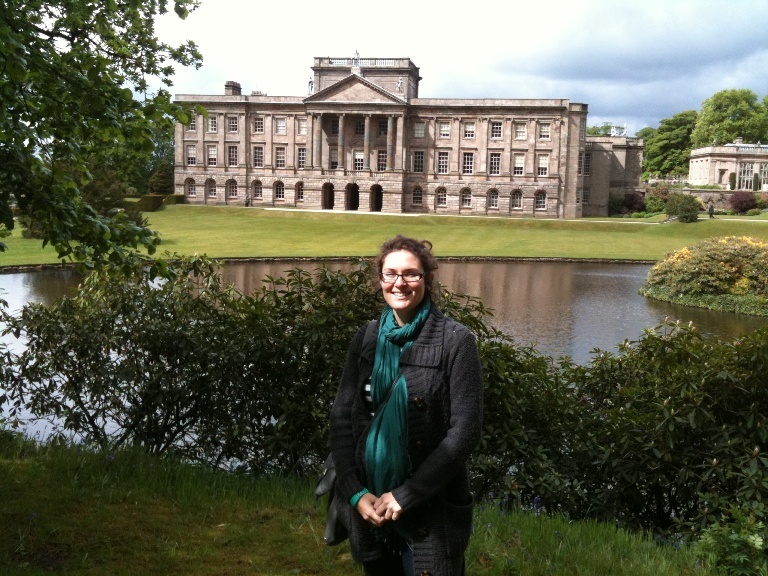 I tried to delve into Simon’s clearly addled brain and convert him but no, visiting her house didn’t do it, even a jolly trip to ‘Pemberley’ aka Lyme Park (complete with Pride and Prejudice soundtrack and our own distinctive and unique recreation of the classic moment of Darcy emerging from the bushes after a dip in the lake, a la the 1995 BBC series with Colin Firth and Jennifer Ehle – one of Simon’s only redeeming features is that he did love this show) couldn’t sufficiently excite Simon into actually reading anything. 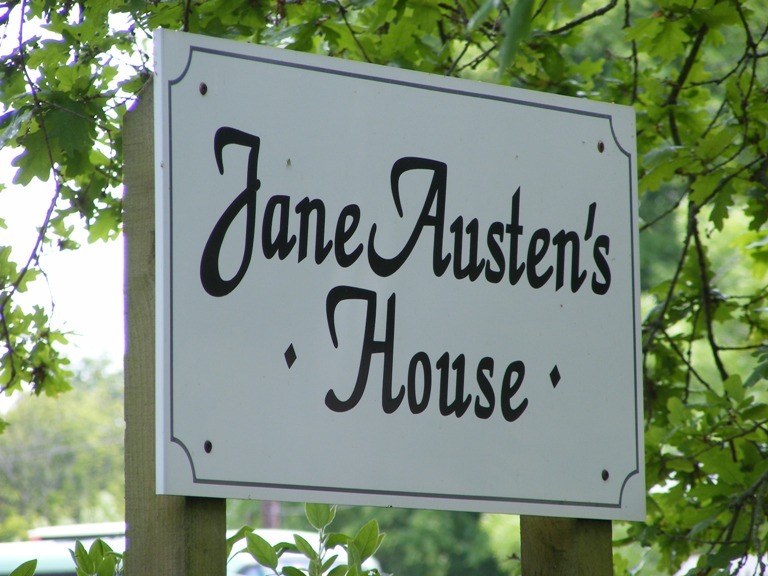 A first attempt to make Simon read Jane, her house… he left with a purple Jane Austen shaped bookmark, shameful! 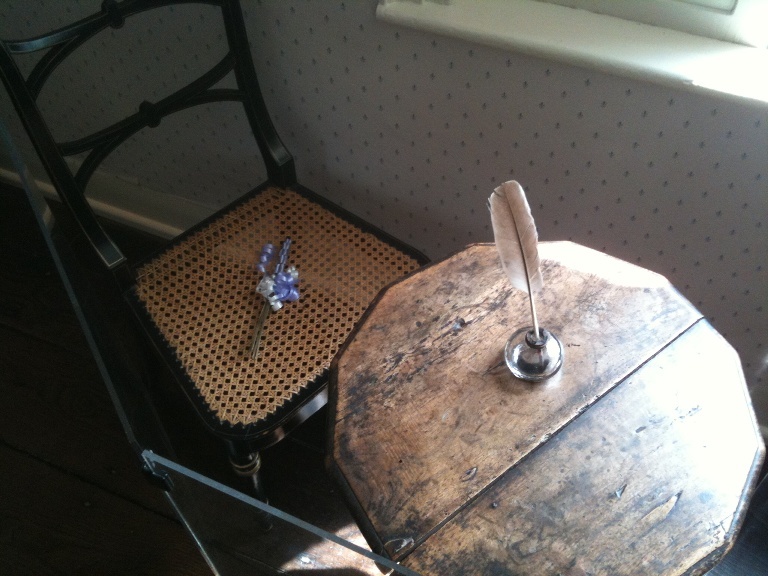 So, what is it I love about Jane Austen? 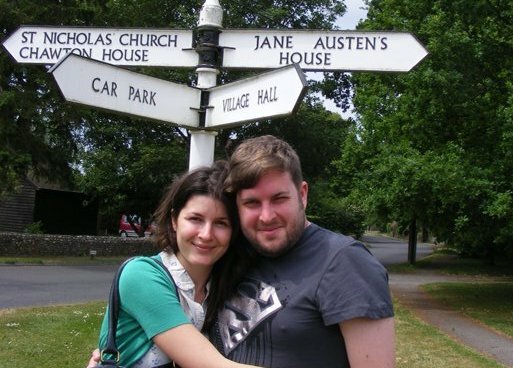 Two words sum it up: Mr Darcy!! Blog complete. Only joking, I mean he’s a great moody hero but really it’s the sparky Elizabeth Bennet character in Pride and Prejudice – the epitome of heroine that steals the show. Actually, now I think about it, the frocks and settings are pretty cool…no, no I’ll go with the charming and witty writing. Hmmm, but what about the deliciously romantic plots where the good folk always prevail in the end? I’m finding it pretty tricky to pin this down… The reasons are endless. 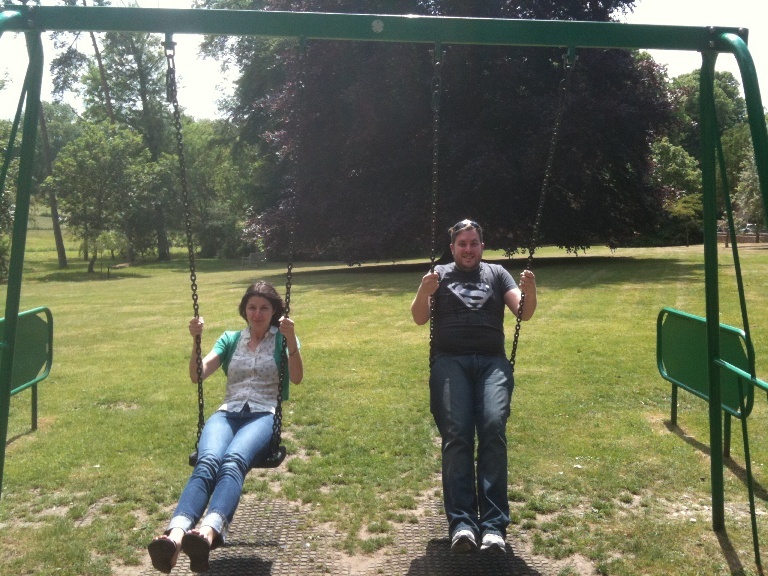 A visit to Pemberly with Simon was no use, though we did make a very funny video he may share with you all one day. I think the thing about Jane (and I don’t think she’d mind me being on first name terms with her?) is that reading her books is always a joyful indulgence (except maybe Mansfield Park – surely everyone agrees that one is a bit weird??). I always turn to Jane in times of need and comfort because I always find it an escape from the sometimes lurid, chaotic, or plain rubbish day to day life. It’s not always an easy journey to follow Jane’s characters (Captain Wentworth I’m talking about you!!) but that is why it’s very satisfying to reach the end; because it does feel like a journey you have made with the characters. It is so easy to get lost in it; even if I’ve put it down to go out, I forget that I’m not in the carriage going to Hartfield but I’m a Fiat Punto going to Hertford. I think everyone should read Jane’s novels because in spite of them depicting a very narrow field of existence in a very different time from now and them pretty much forming the basis of every cheesy ‘Hollywood’ film-ending ever written, they all speak volumes about human nature and are still relevant in many ways. And surely it is never a waste of precious time away from catching up with Strictly when you get carried away on such a romantic journey written so amusingly and which you know will leave you with a fuzzy warm glow that hasn’t got anything to do with the bottle of ‘Pink Lady’ sparkling perry (or Lambrini, we don’t discriminate here) you tucked away absentmindedly whilst ploughing cover to cover. So if you do one thing this weekend, go and get a copy of one of Jane’s masterpieces (wearing authentic Regency-style dress to do this is optional) and be prepared to lose several hours without realising it. Go on, pick one up! Well it has finally happened. Whilst I can’t say I have read a full Jane Austen novel, I have finished a Jane Austen book, as ‘Lesley Castle’ is actually made up of two novella’s and essays, for want of a better word. Many people have been shocked that I have missed some of the ‘literary greats’. 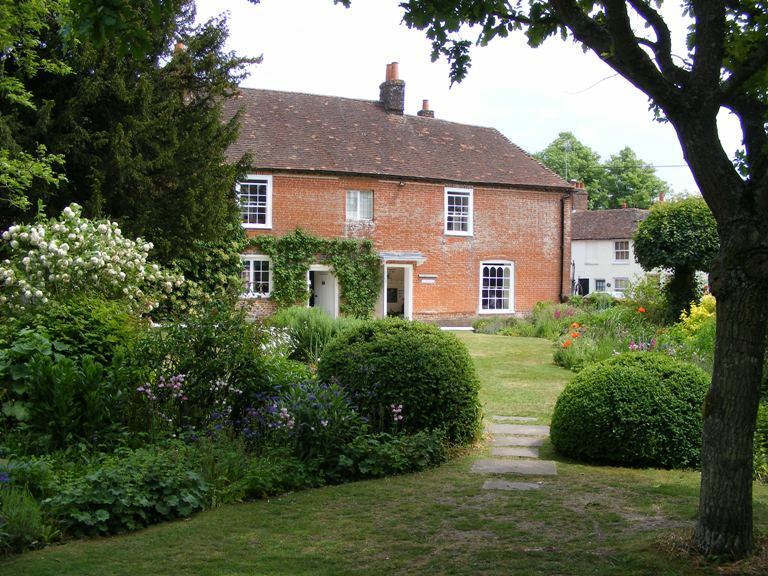 Dickens, Hardy, Trollope and Austen, until now of course, are four prime examples. So when I came up with the idea of ‘Taking Little Novel(la) Risks’ a few weeks ago it was ‘Lesley Castle’ by Jane Austen that really sparked it off. It is not, of course, a prerequisite that every lover of books must love the greats, in fact I know Susan Hill has said she doesn’t think much of Austen herself, but guess what… I loved this collection! I think I finally get what I have been missing. In ‘Lesley Castle’, a collection by Hesperus Press who have lead me to some great short novels in the past, we have three pieces of Jane Austen’s (I don’t think I can get away with calling her just Jane really) earliest works. There are two stories in the form of ‘Lesley Castle’ and ‘Catherine, or The Bower’ along side ‘The History of England’ which is a parody of a piece of non fiction at the time called ‘The History of England in a Series of Letters From a Noble Man to his Sons’ and is written by ‘a partial, prejudiced and ignorant historian’ which made me smile. Jane Austen it seems had more wit than I gave her credit for. It is this middle piece of work, or early essays, on the reigns of kings and queens of the UK that I will quickly mention as we are all taught this at school, well if we are in the UK that is as I know lots of readers of this blog are not. Jane Austen was definitely a fan of the Stewarts and so this is a very biased account, again which makes it all the funnier, as she describes Elizabeth I ‘that pest of society’. It’s just an enjoyable read and one illustrated by her sister Cassandra. See that is the effect this book has had on me, I am now talking like I know the whole family, in fact the title story ‘Lesley Castle’ was itself was dedicated to Jane’s favourite brother. 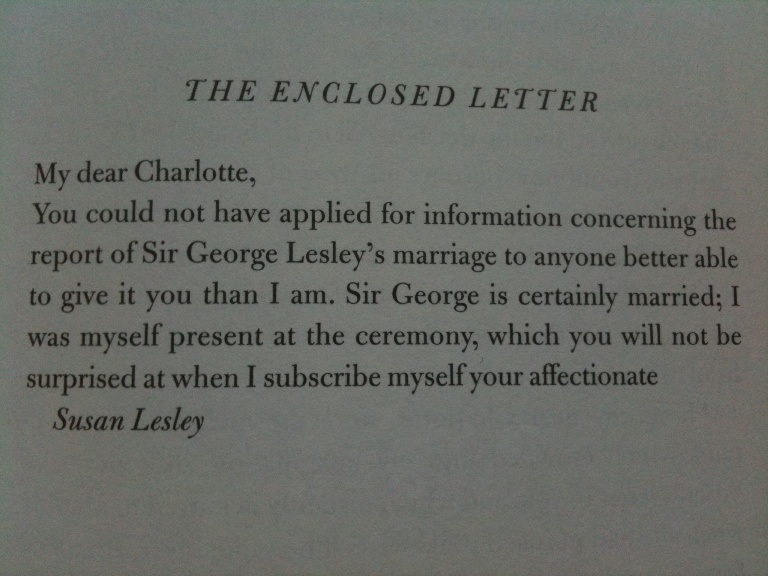 I don’t think ‘Lesley Castle’ could have been a more perfect introduction, for it starts the book, for me to Jane Austen. This novella of letters initially between two friends, Margaret Lesley and Charlotte Lutterell, is incredibly witty and full of gossip and delightful expressions such as when Charlotte compares Margaret’s unfortunate abandoned brother ‘as tender as a whipped syllabub’. Both women are in the throws of drama’s, Charlotte’s sister has lost her fiancé to death, which Charlotte seems to find most unbecomingly dramatic because of all the wedding arrangements Charlotte had made and her sister Eloise most miserable company since. Margaret’s brother has been abandoned by his wife, indeed a divorce is forthcoming, Louise who as Margaret describes her ‘was naturally ill tempered and cunning; nust she had been taught to disguise her real disposition, under the appearance of insinuating sweetness’. There is also the mystery of Margaret’s fathers new wife, who it soon becomes clear is a friend, or foe the two merge often , of Charlottes and as the tale goes on all the characters being gossiped about start writing to the two women. It is a wonderful read and executed brilliantly. The final of the three works is ‘Catherine, or The Bower’ and this is apparently, for I wouldn’t know as yet, like a test for the novels to come. Catherine is an orphan living with her aunt and with no prospects. In fact she fears she may end up like her best friends Cecilia Wynne, who has been sent to Bengal to marry an old man she had never met and doesn’t like, or Mary Wynne who is now a ‘lady’s companion’ and rather bored and miserable. One day however Mr and Mrs Stanley and their daughter Camilla arrive to stay. Catherine, or Kitty, is thrilled at the prospect of a new best friend, only to find this isn’t going to be quite the case as Camilla it seems is one of those girls who simply likes what she is told is becoming and has no mind of her own. There are several of these what I can only describe as feminist aspects in this collection actually. “You have read Mrs Smiths novels, I suppose?’ said she to her companion. There is a twist or two in the tale as a stranger arrives on the night of a ball, one which Catherine looks as though she will miss due to an awful toothache, and then Jane Austen twists the tale a few times so you are never quite sure how it is going to end. I did keep thinking of the story of Cinderella when I was reading this, I wonder if that was her intent? As I mentioned at the start I loved the collection that makes ‘Lesley Castle’ and think if there is anyone out there who hasn’t read Jane Austen yet, unlikely I know, but who wants to then this would be a wonderful place to start. I had tried and failed with her before, I had been promised so much wit and simply got endless descriptions. Now I have seen the wit distilled in these tales I think it might be time to pick up one of her novels and persevere. I am quite excited at the prospect. There is almost no point bringing up the whole storyline of ‘Pride and Prejudice and Zombies’ because I think everyone on earth (I almost seriously think that) knows the story of ‘Pride and Prejudice’ don’t they? Well take that story and imagine the Hertfordshire town of Meryton is in the midst of a zombie flooded England and the Bennett sisters are being trained by their father to become warrior women who can perform the ‘pentagram of death’ at any zombie intruded ball. Whilst Jane and Elizabeth, who is a ‘student of Shaolin, master of the seven-starred first’, enjoy their roles some of the sisters like flighty Lydia are slightly more worried about getting their dresses dirty with brains and not interesting the soldiers. Mrs Bennett is more bothered about them finding husbands and when Mr Bingley and Mr Darcy arrive in town this sets everyone in quite a stir. You of course know what’s going to come after these two men ride into town, or do you? What Seth Grahame-Smith, and I am sure to some extent Tony Lee in his adaptation, has done is explain some of the characters actions in different ways. Why does Charlotte Lucas really accept Mr Collins hand? Why is the legendary female warrior Lady Catherine such a great slayer of zombies and such a character? Will there be a happy ever after, and what might happen to everyone else if the best slaying sister Elizabeth leaves for another shire? I don’t always like a spin off. I almost think there is something a little unoriginal about them, why do authors not want to create something new rather than almost pilfer someone else’s story or idea’s (ironic from the man who wants to write a fictional tale of ‘Mrs Danvers’ life)? However there are times when it can work and be original. I’m thinking of ‘Wide Sargasso Sea’ by Jean Rhys or ‘Wicked’ by Gregory Maguire etc. I think this is one that works because it’s not what you would expect, it’s often quite funny, and at no point do you feel this has been done as some gimmicky piss-take/cashing in at Jane Austen’s expense. I do wish they hadn’t made Elizabeth blonde and Jane a brunette though, it really through me, I kept getting them mixed up. As I said earlier, almost everyone knows the story of ‘Pride and Prejudice’ and I wonder if that is why I really rather enjoyed ‘Pride and Prejudice and Zombies’ all the more. It gave a story that I feel I know too well (in a nice way, I love the BBC adaptation to bits) and did something different with it, rather like the wonderful TV series ‘Lost In Austen’ only in this instance the storyline doesn’t have an avid reader disturbing it but a host of zombies instead. I’m not sure if the die hard Austen fans will like this or not but its something a bit different. I can’t say it’s made me want to rush and read ‘Sense and Sensibility and Sea Monsters’ but interestingly it has made me want to read some of Austen’s other work. What are your thoughts on this Austen based twist, is it just a gimmicky cash in or a new and interesting take on her work? Who has read the book? Who is going to see the film, apparently Natalie Portman is producing it? It was a fabulous day, but I do have to tell you a little something, now it should come with a warning because you might all be rather shocked. I have to make a Jane Austen confession and its no small confession, apart from 50 pages of ‘Pride and Prejudice’ (which I found unbelievably dull and put me off a little) I have never read any Jane Austen!!! Have you all run off and left now that you have just read that? The thing is that I do want to (and I now have my eyes on the wonderful illustrated editions by Oxford University Press on the right – shame I can’t buy any books this year, mind you I don’t have a spare £105, but I can dream) especially having watched a wonderful film all about her as we entered the place. I have the drive but am not sure where to start. I have been told that ‘Northanger Abbey’ would be right up my street. 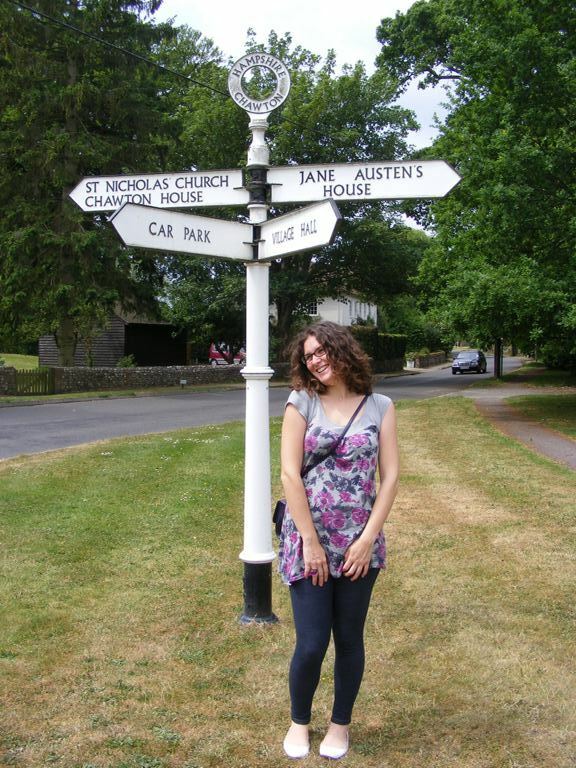 I am wondering if maybe I should start there and have an Austen Adventure. Would anyone like to join me? 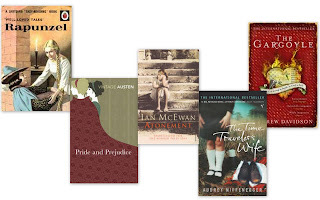 Which Austen’s have you read and loved? Have you simply never got her? 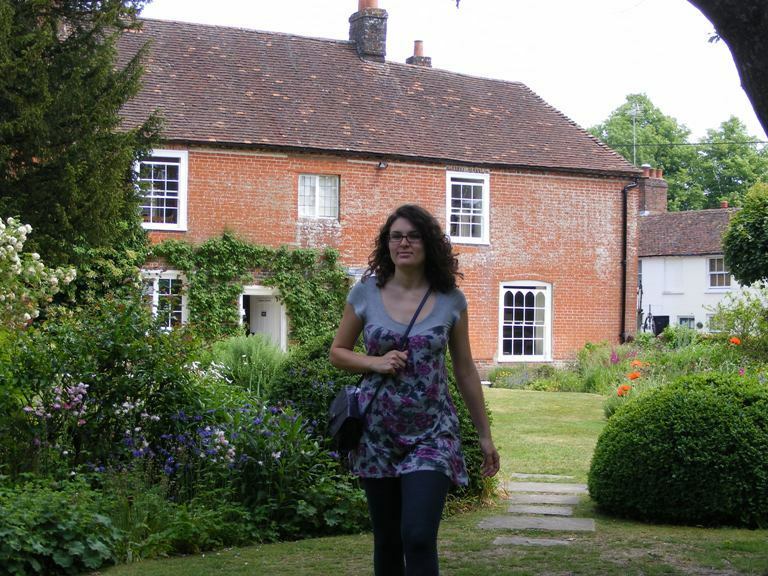 What would you suggest that an Austen novice should start with? As its Valentines Day I have decided that I shall get into the spirit of all things loving and lovely and give you my Top 5 Books of Love. It was going to be a top ten and then I realised I didnt have ten which then worried me. Why do I not read books about love? I dont actually have an answer for that as I dont go out of my way to avoid books about love. I will admit it everything sounds a bit ‘soft focus’ on a books blurb then in all honesty it might get put further down the TBR, that is if it gets bought at all. I think maybe I should add love stories to books that I must read more fo this year. Another slightly belated New Years Resolution to add to the many I made. I had to put Rapunzel at the top as this was probably the first ever tale of love that I read and re-read from the age that I could read properly. I have sadly lost the edition shown but might treat myself to a copy for my birthday next month. For me this beat Cinderella hands down, it was darker and true love wasnt about a nice fancy castle, well not totally, it could make blind men see and something in that really made me think when I was little. I didnt believe in pumpkins becoming carridges but I did believe love could heal the sick. I think this is quite possibly in most peoples ‘love books’ of all time in all honesty. I think its amazingly well written with some of the best characters in fiction (I always loved the Mother and her hysterics, Lady Catherine De Burgh for just being vile, and Mr Collins for being Mr Collins) and a timeless love story. I was going to put On Chesil Beach which I think is heartbreaking but deep down their is a wonderful love story. I changed my mind because of how epic Atonement is, and its easily as heartbreaking. Never has a book drawn me so close to tears in all honesty. 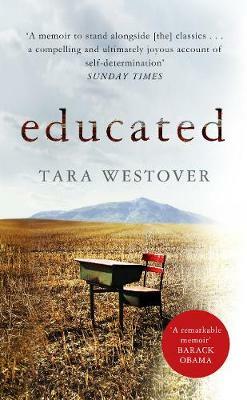 This book blew me away. I reaqd it quite a few years ago now and couldnt put it down. Some people (my Gran included) thought that this book had a slightly worrying side to it in the sense of a naked man appearing in front of a child. I didnt think of that until after and still dont because it wasnt like that at all. I think actually this should be my number one! I only read this last week so being so fresh in my mind might possibly have put it higher up my list but I dont think so. I found this quite a quirky compelling tale of love that might or might not (I cant give anything away) have lasted over 1000 years! The heroine of this novel is wonderful and the story is so bonkers and addictive you’ll be speeding through the pages. Wonderful. So what are your favourite romantic novels of all time that you could recommend for me? Please help!